(a) The concept of hybridization was introduced by Pauling. (b) Hybridization is defined as the intermixing of dissimilar orbitals of the same atom but having slightly different energies to form same number of new orbitals of equal energies and identical shapes. (i) Only orbitals (atomic) of nearly same energy belonging to same atom or ion can take part in hybridization. 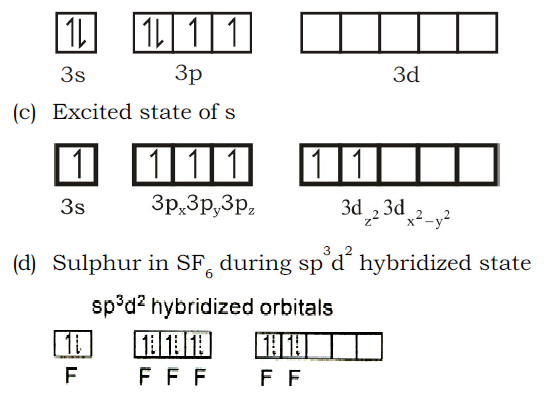 (ii) Number of the hybrid orbitals formed is always equal to number of atomic orbitals which have taken part in the process of hybridization. (iii) Most of the hybrid orbitals are similar but they are not necessarily identical in shape. They may differ from one another in orientation in space. (iv) Actually the orbitals which undergo hybridization and not the electrons. a) When one s and one p orbital belonging to the same main shell of an atom mix together to form two new equivalent orbitals, the type of hybridization is called sp hybridization or diagonal hybridization. (b) The new orbitals formed are called sp hybrid orbitals. (c) They are collinear with an angle of 180° as shown in figure. (d) Each orbital has 50% s-character and 50% p-character. a) When one s and two p-orbitals of the same shell of an atom mix to from three new equivalent orbitals, the type of hybridization is called sp2 hybridization or trigonal hybridization. (b) The new orbitals formed are called sp2 hybrid orbitals. (c) All the three hybrid orbitals remain in the same plane making an angle of 120° with one another as shown in figure. (d) Each of the hybrid orbitals formed has 1/3rd s character and 2/3rd p-character. 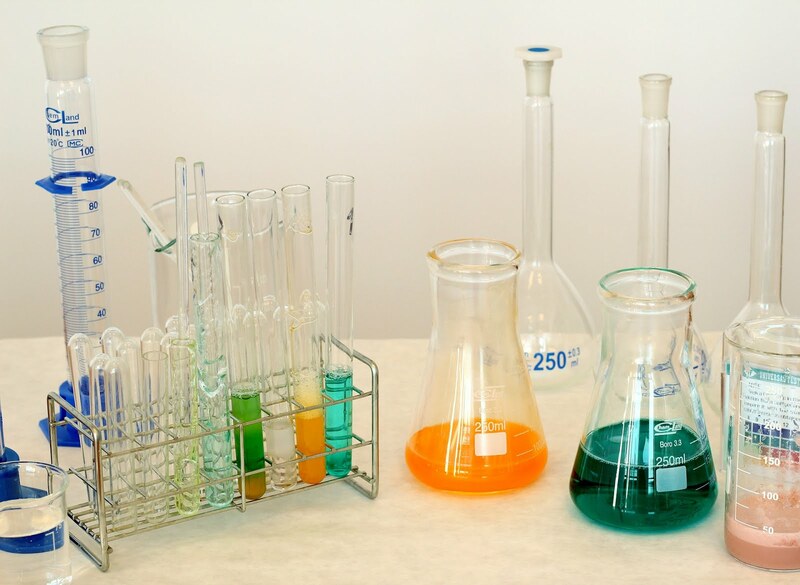 a) When one s and three p-orbitals belonging to the same shell of an atom mix together to form four new equivalent orbitals the type of hybridization is called sp3 or tetrahedral hybridization. (b) The new orbitals are called sp3 or tetrahedral orbitals. (c) These are directed towards the four corners of a regular tetrahedron and make an angle of 109°28’ with one another as shown in figure. (d) Each sp3 hybrid orbital has 25% s-character and 75% p-character. This can be understood taking example of PCl5. One s, three p (px, py, pz) and one ( dz2 -orbital) which are singly filled. 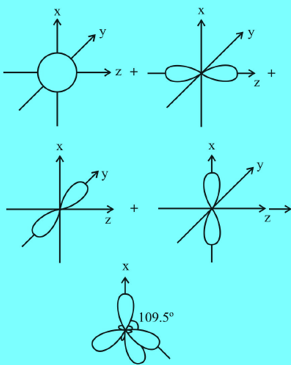 (d) These orbitals hybridize to yield a set of five sp3d hybrid orbitals. (e) The resultant shape is trigonal bipyramidal. (a) In sulphur two electrons (one 3s and one 3p) are promoted to empty dz2 and dx2-y2 orbitals. These orbitals yield a set of six sp3d2 hybridized orbitals directed towards the corners of a regular octahedron as shown below.